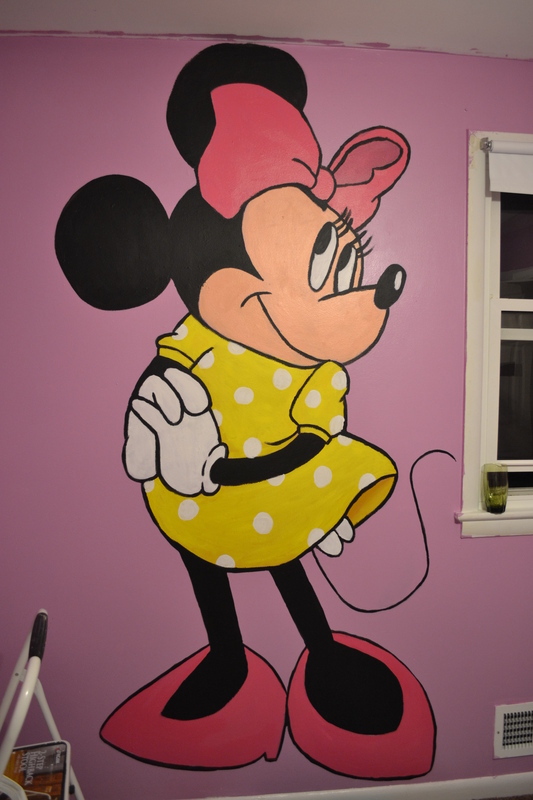 Recently I was hired to paint a baby’s room for a friend. She wanted it to be Mickey Mouse themed. It turned out really cute. 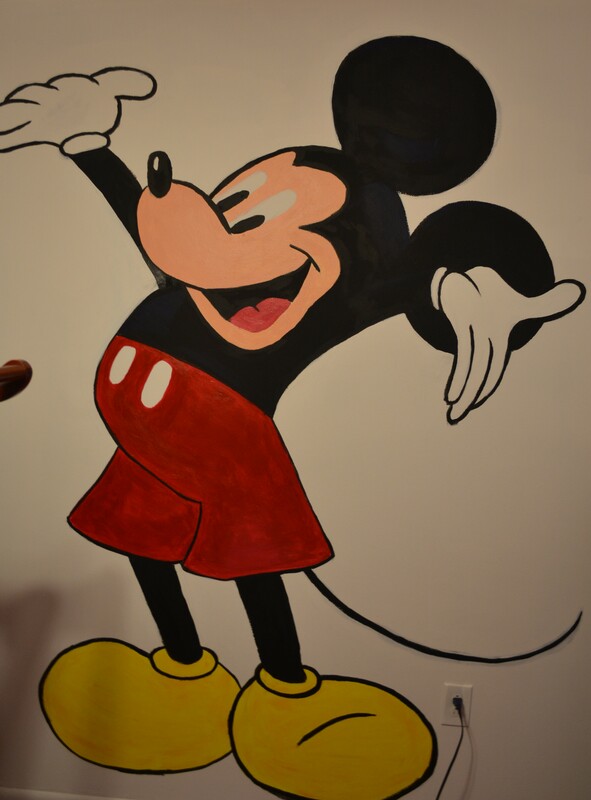 I painted Mickey on one wall and on the opposite, I painted Minnie. I felt like the room needed something to tie the two together, you know, a composition thing. So, I decided to make a border on the adjacent wall of the two characters. 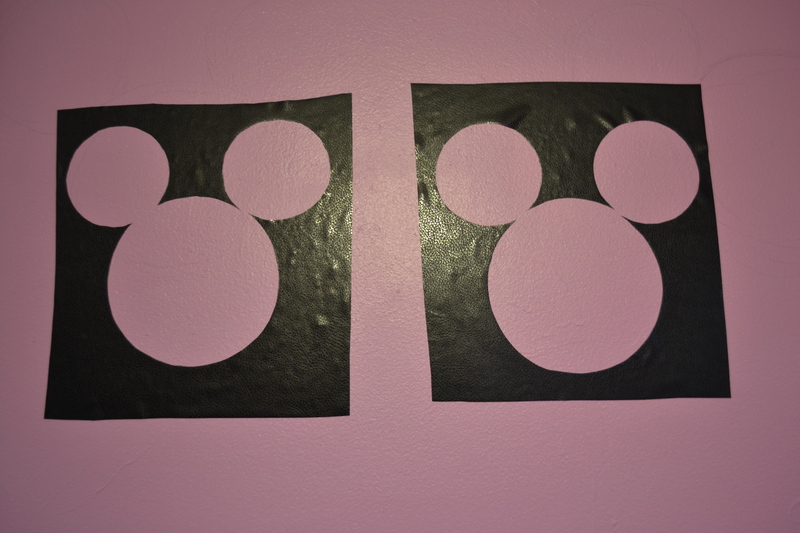 My idea for the border was to create one using Mickey silhouettes. I didn’t want to do something so precise free hand, so I thought of an easy and neat way to create the silhouettes. 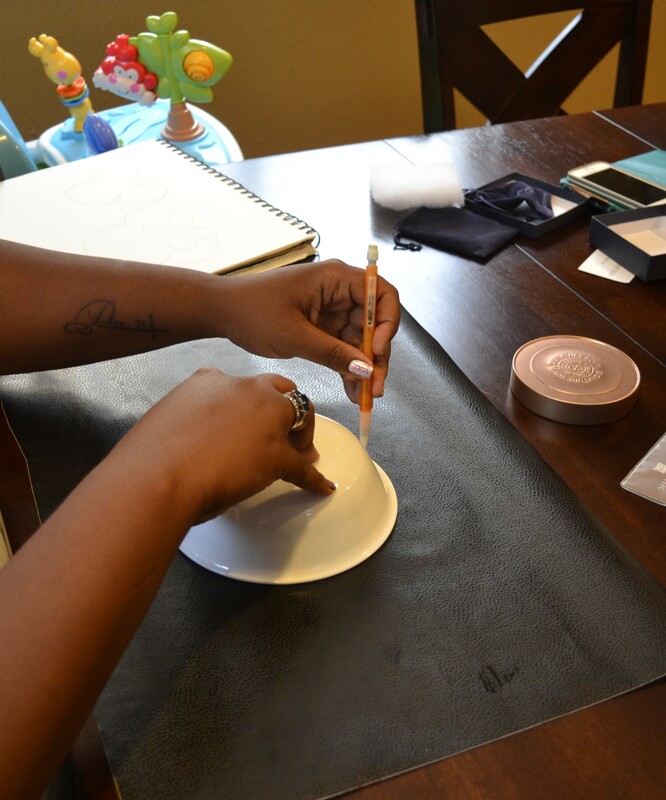 It involves contact paper; since I had so much left over from my last DIY I thought, why not. 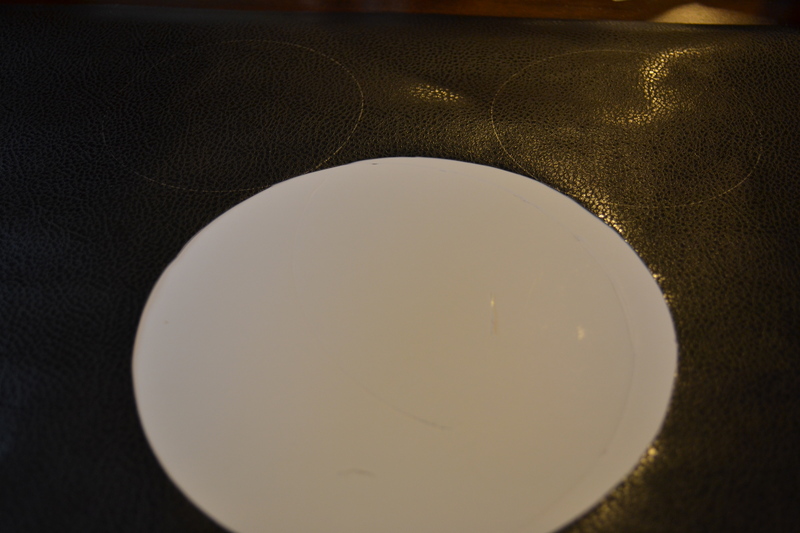 Step 4: Place your foam board under your contact paper, and using your X-acto, begin to cut out the large circle. 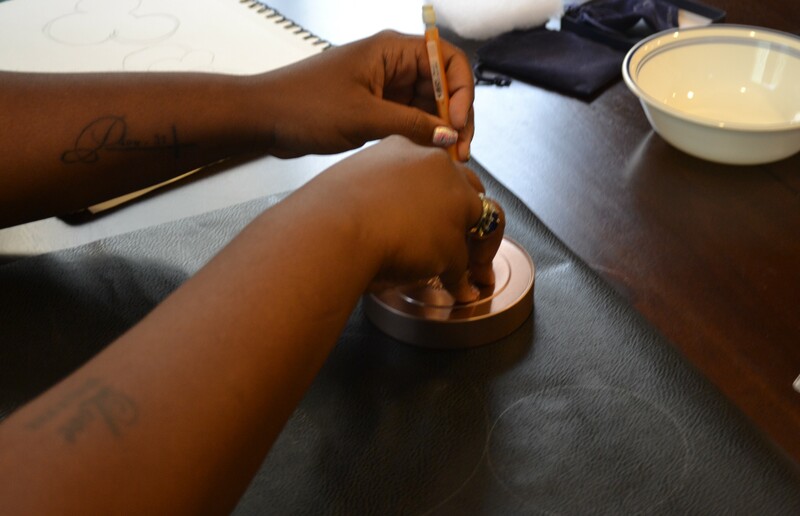 Take your time using the X-acto, especially if you don’t have much of a steady hand. 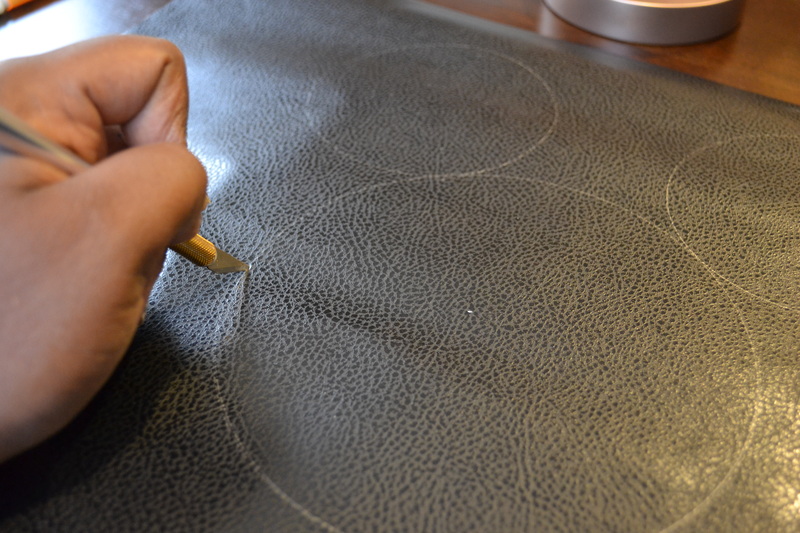 Step 5: Now, do the same with the smaller circles. 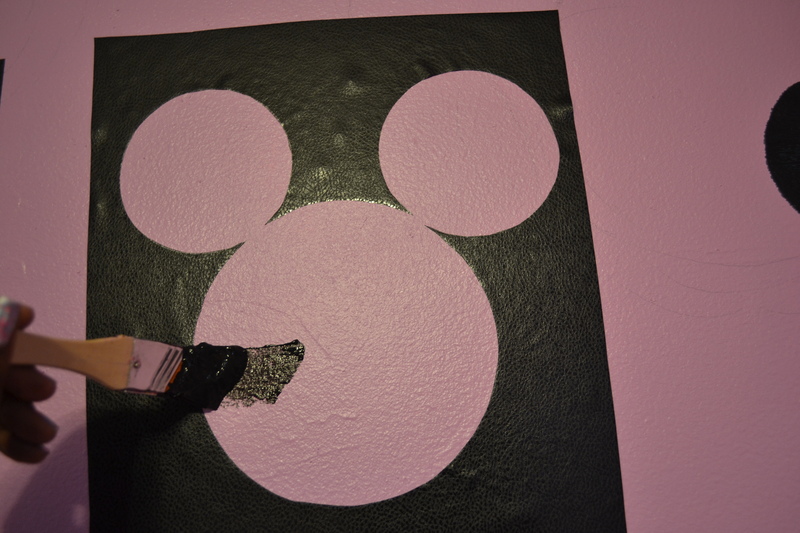 Step 6: Peel off the backing and place the contact paper on the wall to your liking. Don’t let the shape of the contact paper throw you off when your placing it. Pay only attention to the negative space, that’s what’s important. 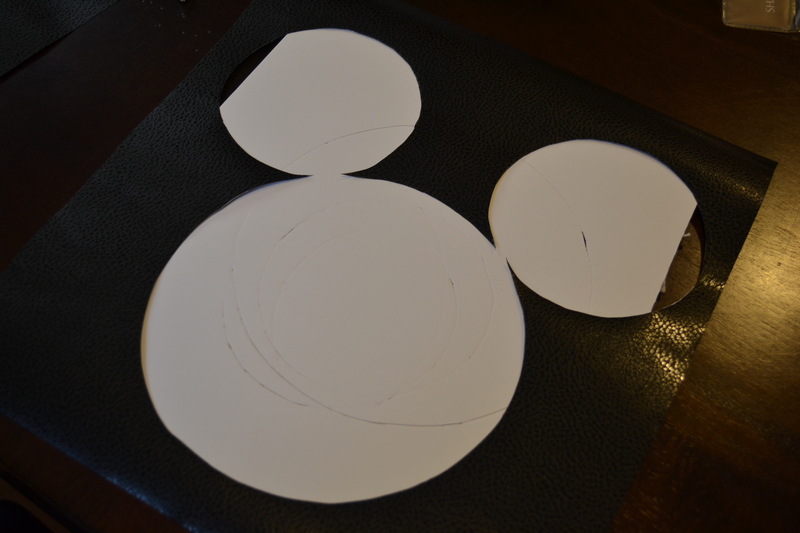 When I placed the paper, I looked at the top of the ears to get the correct height while placing them together and I measured 8 1/2in between the side of Mickey’s face to get the right spacing. 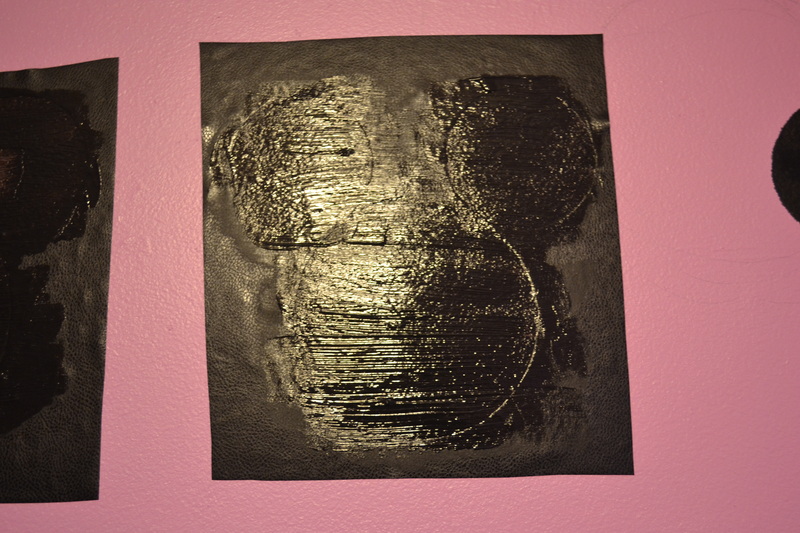 Step 7: Paint inside the negative space. 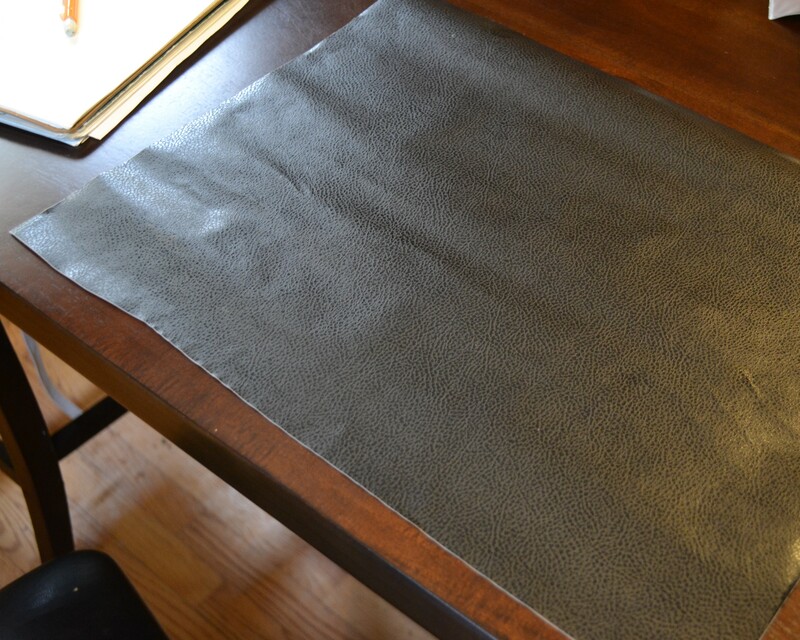 Step 8: While the paint is still wet, peel off the contact paper. 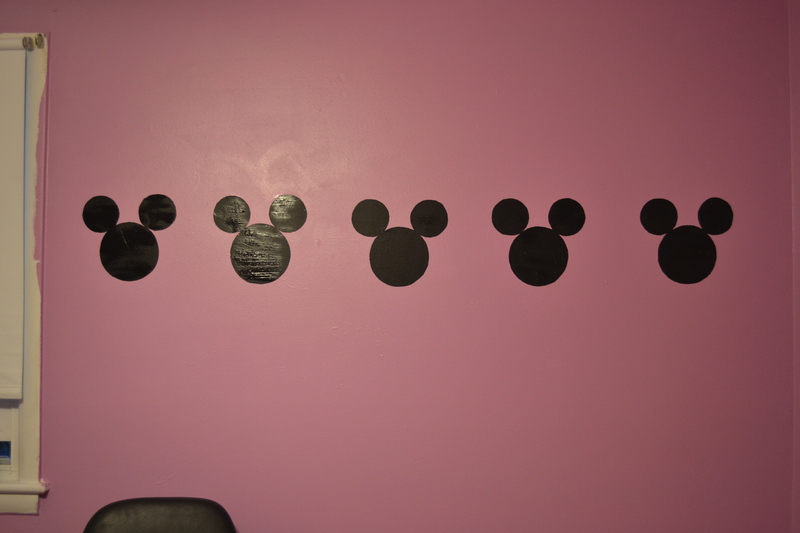 There might be a few mess ups, but I just fixed them using the wall paint. Here are a few pictures of the room. 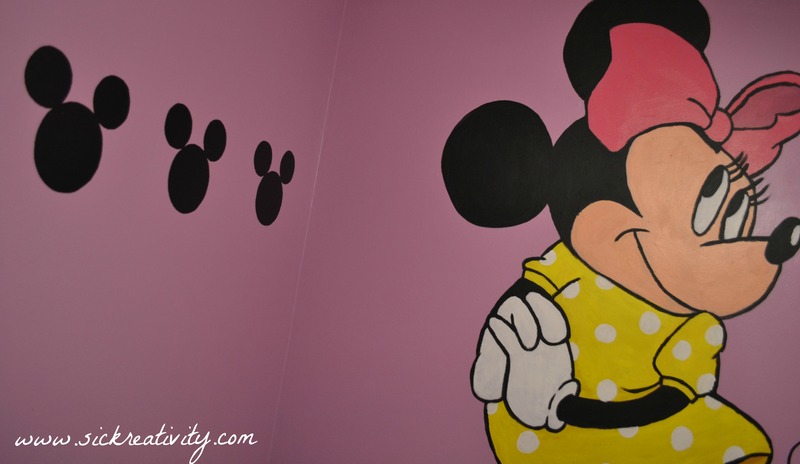 You could probably guess by the color of the room that it was for a baby girl. You are amazing with your talent! I love how your creativity is broad and your interests are vast. I am inspired by your work. Such neat ideas in everything you’ve done on this blog.